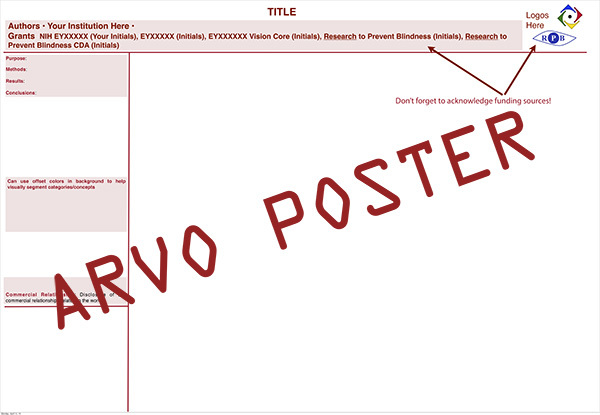 It is now less than a month before the 2014 ARVO, this year being held in Orlando, Florida and many folks will be starting to put their posters together for the meeting. Ideally, you should have already started, and there are many ways to do it, but judging from the Webvision server logs, lots of folks are looking for hints/clues or instructions on how to make their posters. I presume that much of this traffic is from folks who are unexperienced in presenting their work in poster form, so consider this a short primer of sorts on how to design and create a poster that will effectively communicate your work.